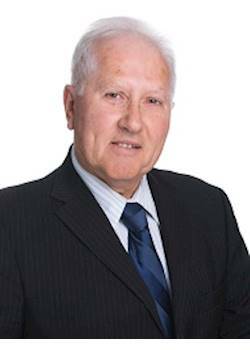 Robin Harris is a Senior Business Broker at LINK, Ellerslie. Prior to his broking career, Robin operated New Zealand’s largest driving school, which he eventually franchised the business throughout the North Island. After 18 years he sold, and began an import and distribution business, importing goods from Indonesia and China. He sold this company in 2000 to become a business broker. Robin specialises in the hair and beauty industry, particularly the larger chains that operate from the shopping malls. He has achieved huge success across many other sectors. Drawing from his experience in the Import and Distribution industry, Robin has sold businesses of all sizes; large aluminium joinery companies, transport companies, small chocolate manufacturers and everything in between. Robin has handled businesses valued from $100,000 to $9M. Applying his experience in the franchise industry, he has sold rental car, service industry and holiday camp franchises. Robin comes from a strong sales and marketing background. For more than a decade he has been putting these skills to work, helping clients to effectively prepare, market and sell their businesses. Through firsthand experience, he understands the many challenges that owners face, including how to get the very best price for their business. Undertaking a professional and results-focused sales process, Robin sets his sights on hugely successful outcomes. Robin is married with two 2 sons and a stepson, and now has two granddaughters. He is a keen golfer, enjoys travel and socialising with friends. Email Robin today to get a FREE appraisal of your business. Learn how best to prepare your business for sale and maximise the sale price.